One of the more increasingly popular alternatives to market-making dealing desks for online forex trading is known as ECN, or Electronic Communications Network. This is basically a type of computer system that allows for the trading of financial instruments away from the major exchanges, thereby cutting down on transaction costs and providing a useful half-way house between dealing desks and high-end DMA trading models for retail and mid-range traders on the equities and currency markets. While the first ECN, Instinet, was created way back in 1969, this was strictly for use by stock traders working for investment institutions such as banks and hedge funds. The first ECN for internet forex traders, Matchbook FX, was launched in 1999. 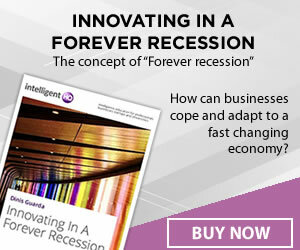 It was quite unique for the time, in that it gave buy-side FX market participants – who had historically had no control over the pricing of financial instruments – to set their own pricing levels. Today, there are lots of different ECNs, with the best-known being Currenex, Bloomberg Tradebook, and Hotspot FX. 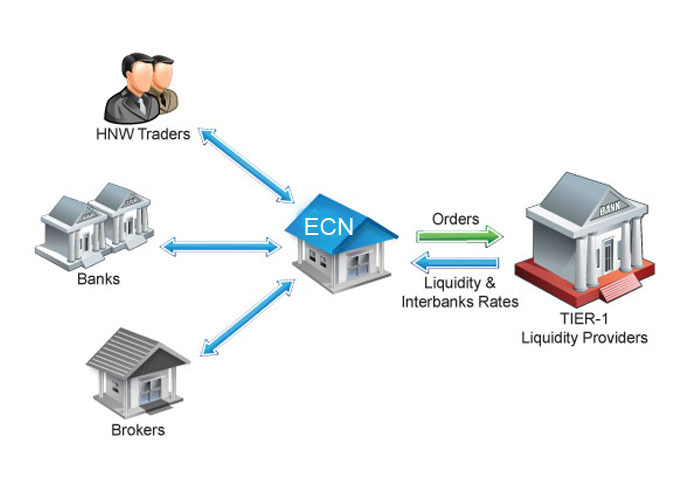 What an ECN effectively does is provide a bridge between smaller market participants, such as retail brokers, to tier-1 liquidity providers such as major investment banks via something known as the FIX (Financial Information Exchange) Protocol. The broker can then make this liquidity available for trading to its clients, and deliver client’s orders to the liquidity providers for execution. There are several advantages to using an ECN broker, as opposed to a pure market maker. For starters, all trading on ECNs is anonymous, which allows traders to deal with neutral prices that reflect the real market conditions and are not biased against the client’s direction. ECN also does away, to a certain extent, with the problem of latency, because clients can trade instantly on live streaming, best executable prices with immediate confirmations. Because there is no dealing desk, there is no chance of re-quotes.This can be particularly useful when employing automated trading strategies, many of which rely on accurate pricing data for their profit margins. One disadvantage of ECNs is that the bid/offer spread can vary as there is no dealing desk to stabilise them. However, the spreads on offer may be tighter as a result of the increased competition. So, if you need low-latency and wish to bypass the potential conflict of interest inherent in the dealing desk model, but don’t have the kind of trading clout that would be required to leverage a DMA tradiing model, then an ECN-based broker could be a good option, particularly for those employing algorithmic trading strategies. Forex Trading Golden Rules Part 5: Don't Go With Your Gut!